Manufacturers & Exporters of Inconel Alloy 625 Pipes & Tubes, Alloy UNS N06625 Seamless Pipes & Seamless Tubes, Inconel 625 Welded Pipes & Welded Tubes in India. We manufacture Inconel 625 Pipes & Tubes using high-grade metal alloys. These pipes are proven to dispatch a longer duration of service life with the rust-free features. Owing to its remarkable quality and design, it is widely used in oil refineries and chemical industries. Alloy 625 has excellent fatigue strength and stress-corrosion cracking resistance to chloride ions. This nickel alloy has excellent weld ability and is frequently used to weld AL-6XN. This alloy resists a wide range of severely corrosive environments and is especially resistant to pitting and crevice corrosion. Some typical applications Inconel 625 is used in are chemical processing, aerospace and marine engineering, pollution-control equipment, and nuclear reactors. Neon Alloys one of the manufacturer & supplier of inconel alloy 625 pipes & inconel alloy 625 tubes in india. 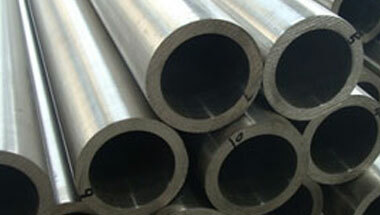 Our product includes tubes and pipes, Inconel 625 Pipes, Inconel 625 Tubes, Inconel Alloy 625 Seamless Pipes & Tubes etc. These pipes can be availed by the clients in various specifications and grades as per their needs. Inconel 625 Pipes, Inconel 625 Tubes, Alloy 625 Werkstoff Nr.2.4856 Seamless Pipes & Tubes, Inconel Alloy 625 Welded Pipes Supplier, Alloy 625 EFW / ERW Pipes & Tubes Exporter in India. Argentina, UK, Saudi Arabia, Sudan, Italy, Trinidad and Tobago, Houston, Kazakhstan, Australia, Kuwait, Angola, Egypt, Venezuela, Malaysia, Jordan, Morocco, Iran, Vietnam, Germany, Cameroon, Israel, Brazil, Africa, Sri Lanka, Democratic Republic of the Congo, Indonesia, Colombia, Canada, Russia, United States, Mozambique, Thailand (Bangkok), New Zealand, Tunisia, Uganda, South Africa, Azerbaijan, Iraq, Turkey, Peru, Mexico, UAE, London, Nigeria, Algeria, Chine, Ethiopa, Ghana, Bahrain, Dubai. Data from the UN, Mogadishu, Algiers, Jerusalem, Kampala, New York, Sharm el-Sheikh, Giza, Istanbul, Bethlehem, Muscat, Bulawayo, Lagos, Doha, Kano, Alexandria, Freetown, Fez, Kolwezi, Brazzaville, Harare, Amman, Khartoum, Addis Ababa, Antananarivo, Aqaba, Douala, Abu Dhabi, Ouagadougou, Hong Kong, Cairo, Tripoli, Maiduguri, Manama, Riyadh, Yaoundé, Mecca, Johannesburg, Cairo, Omdurman, Dakar, Port Elizabeth, Tel Aviv, Port Harcourt, Dammam, Lusaka, Benin, Beirut, Zaria, Cape Town, Tehran, Dubai, Rabat, Casablanca, Conakry, Colombo, Soweto, Byblos, Bamako, Maputo, Dar es Salaam, Ibadan, Lubumbashi, Mbuji-Mayi, Kaduna, Pretoria, Jeddah, Abidjan, Durban, Accra, Nairobi, Subra al-Haymah, Luanda, Singapore, Kinshasa.